Writing an effective zombie novel is, in this reviewer’s opinion, a very difficult task. Zombies, more so than any other basic horror character, tend to lend themselves best to visual interpretations. 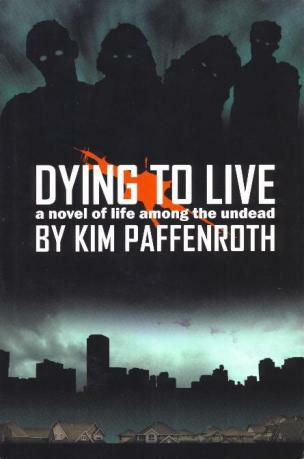 Kim Paffenroth was able to buck this trend through his compelling and well written zombie novel entitled Dying to Live: A Novel of Life Among the Undead. Paffenroth employed some of the most basic tenets of any zombie story: a lonely survivor (Jonah) who sets out to look for his family and finds nothing but death and destruction, a group of people gathered together in a more or less fortified building, and the lack of humanity that will always be inherent in some people regardless of the circumstances. The book succeeds, and succeeds very well, because Paffenroth was able to take these basic plot points and turn them into some unique twists that have not been explored in other zombie books. The most compelling part of any well written zombie story is always the inter-personal relationships between the various human characters and how they deal with the never ending crisis of the zombie apocalypse. Paffenroth’s characters are, for the most part, well fleshed out and it is easy to care about them and to find their actions and words to be believable. When a character finds themselves in danger the reader sits up and takes notice, much in the way a good zombie movie makes you sit on the edge of your seat, and this is definitely the mark of a skillful storyteller. One of the aforementioned unique twists involved putting a character into a situation that breaks all of the so-called “rules” of horror fiction. While I won’t give any spoilers in this review, I will admit that I was shocked by the inclusion of this twist and that even though the details of it were mostly left to the reader’s imagination, I have a lot of respect for Paffenroth for not being afraid to go there. It definitely turned up the horrific impact of the novel and although it was an uncomfortable subject matter, it was a big part of what makes this book stand out. Kudos to Paffenroth for seeing the darkness in humanity and shining a bright, unflinching light upon it. Paffenroth also introduced a new type of character into the world of zombie fiction. Again, I won’t include any spoilers, but he came up with a very intriguing concept that will make the reader question much of what they accept as “fact” about zombies, the virus that causes them, and the way that they interact with humans. 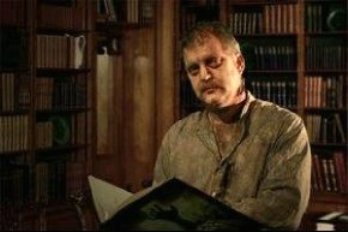 Paffenroth is a professor of religious studies and his interest in things of a theological and philosophical nature is very clear throughout the story. It is also clear that Paffenroth has great admiration for classic literature. In some ways this enhances the story, as I don’t believe I’ve ever read a zombie novel before in which two characters have had a long conversation about the importance of literature and it was a nice contrast to the horror of the zombie filled world around them. In other ways, though, it was a bit of a distraction at times because God and various religious concepts were brought into the story so frequently, that even when brought up by the character who doubted God’s existence, it still read like a novel with a specific religious statement to make. My one criticism aside, I greatly enjoyed reading this novel and I was pleased by Paffenroth’s decision to focus on the people in the story instead of the zombies. The overall effect is that there is still enough blood-soaked zombie action to satisfy gore hounds, while at the same time there’s also enough of a cerebral and emotional element to make the novel appeal to those who crave more than just action in horror fiction. You can buy Dying to Live HERE. Dr. Kim Paffenroth is a proffessor of Religious Studies at Iona College. He wrote several books on the Bible and theology, before turning his analysis to the living dead. His examination of zombie films titled Gospel of the Living Dead: George Romero's Visions of Hell on Earth (Baylor, 2006), won the Bram Stoker Award. Since then he has written zombie fiction, including several novels in the Dying to Live series (Permuted Press). 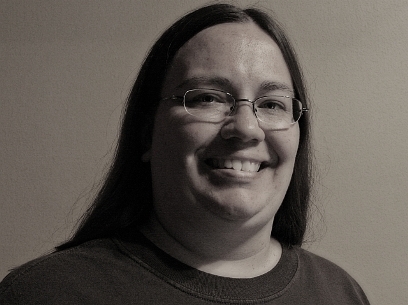 You can learn more about Kim HERE. 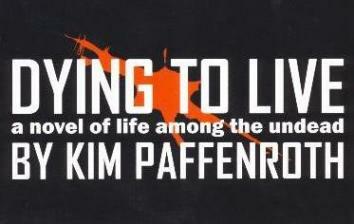 See all of Kim Paffenroth's books HERE. April A Taylor is a Dark Art/Horror and Fine Art photographer from Detroit, MI. Some of her earliest childhood memories involve Michael Jackson’s Thriller video, the original Nightmare on Elm Street movies and reading Clive Barker’s Books of Blood series, all of which she credits with introducing her at a young age to her first love -- horror. After two decades of dabbling in photography, her second love, she made the decision in 2007 to focus seriously on developing (no pun intended) her photography career and spent the next two years refining her craft through Fine Art and customized photoshoots. Her Fine Art work always leaned toward the dark and macabre, shedding light on some of the most beautifully twisted and abandoned places throughout the US. In 2009 she designed her first Illustrative Dark Art Photography shoot (The Post-Apocalyptic Princess) and was instantly taken with the idea of capturing the darkness of the world through vividly horrific scenes. Her Dark Art/Horror line has received rave reviews from genre actors/actresses within the horror industry, including the following from Lisa Wilcox (the actress who played Alice in A Nightmare on Elm Street 4 and 5), "April's work captures the seduction of horror." Other horror genre fans include Ashley C. Williams (The Human Centipede) and Ken Sagoes (A Nightmare on Elm Street 3 and 4). Since June of 2010 her work has also been featured on over two dozen different horror websites, including Fangoria.com who said,"...[enough] blood and women in peril to satisfy even the most voracious of gore-lovin' eyeballs." See April A. Taylor's art HERE.